Click on photo to enlarge to read text. Location. 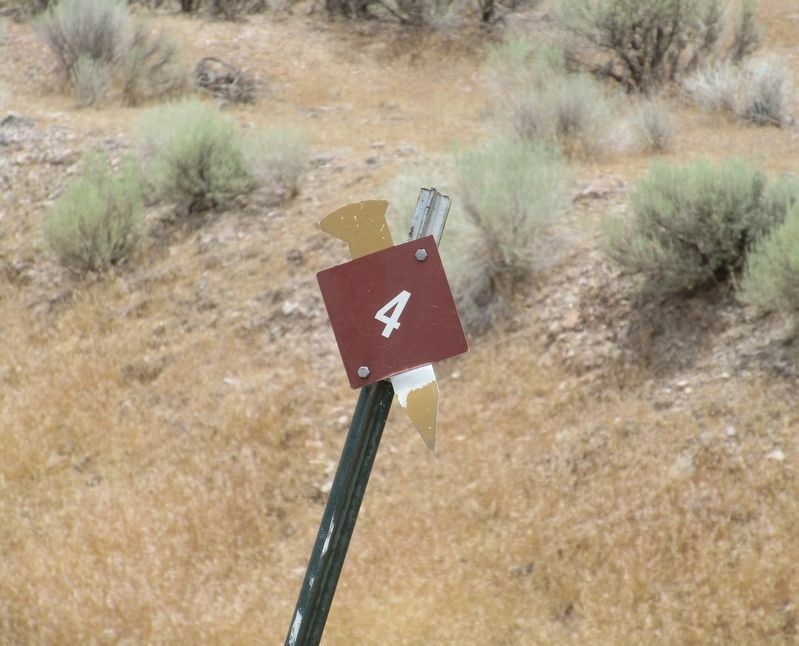 41° 33.975′ N, 112° 37.482′ W. Marker is near Corinne, Utah, in Box Elder County. Touch for map. 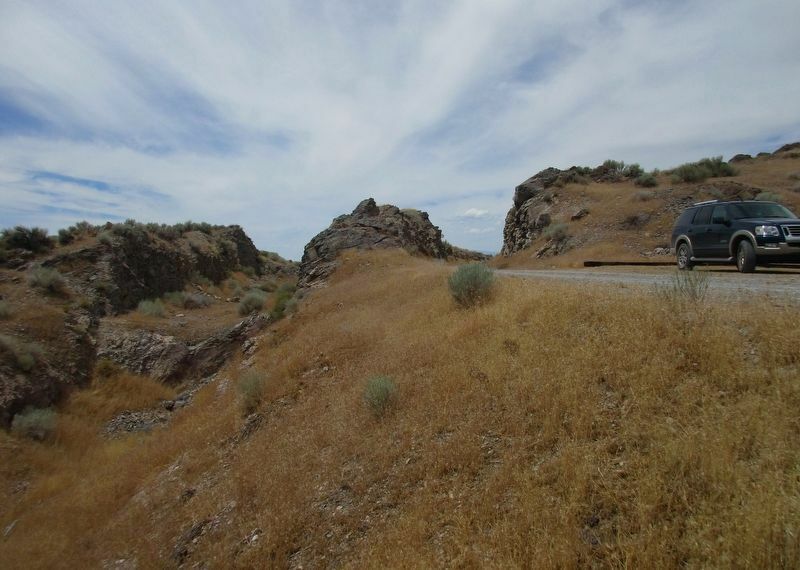 Monument is located at mile marker #4 of the Transcontinental Railroad National Back Country Byway which is accessible eastbound only, from the Transcontinental Railroad National Back Country Byway Rails of History Marker. Marker is in this post office area: Corinne UT 84307, United States of America. Touch for directions. (approx. 1.8 miles away); Rozel (approx. 2.1 miles away); Centre Siding (approx. 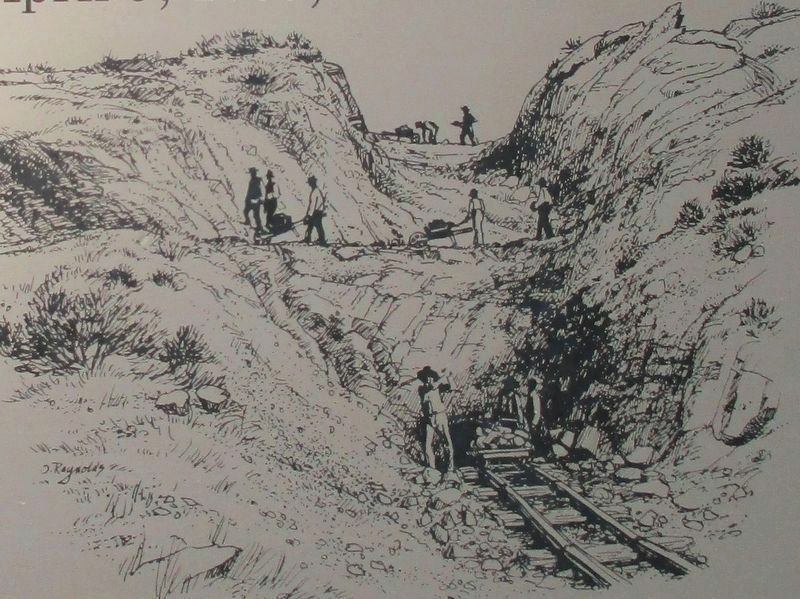 4.7 miles away); September 1869 (approx. 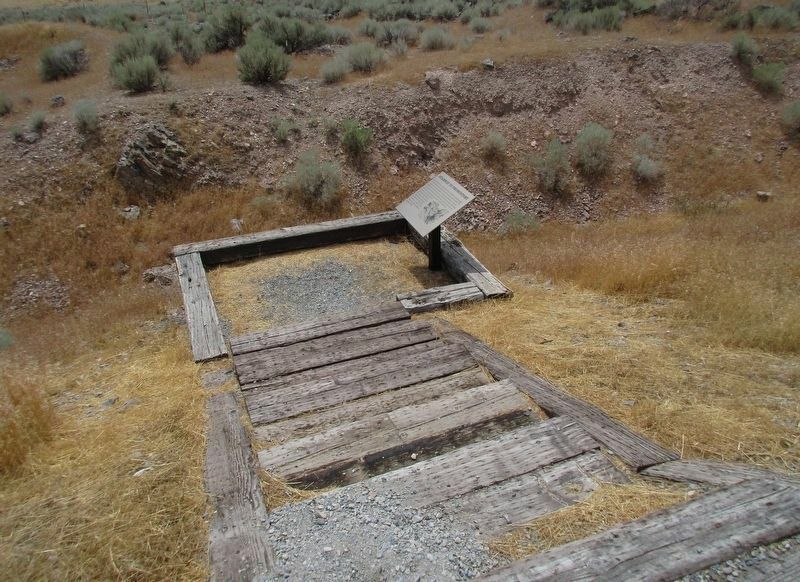 5.2 miles away); Golden Spike (approx. 5.2 miles away); May 10, 1869 (approx. 5.2 miles away); Stephen Tyng Mather (approx. 5.2 miles away). Touch for a list and map of all markers in Corinne. More. 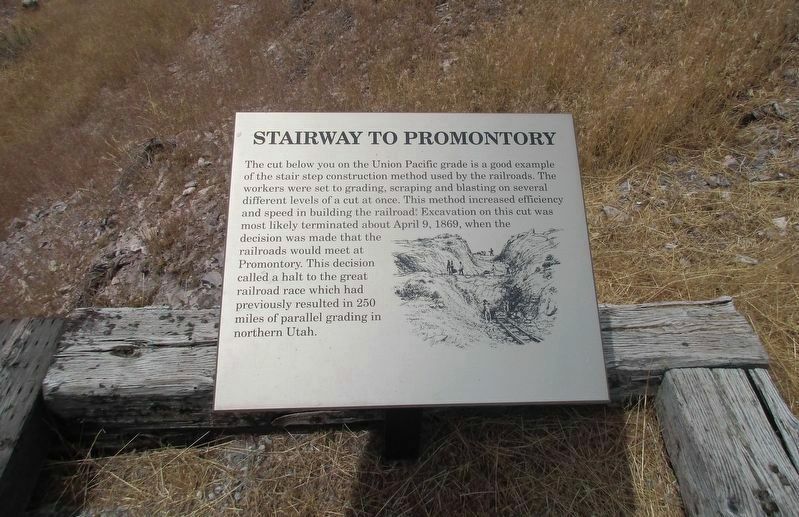 Search the internet for Stairway to Promontory. Credits. This page was last revised on December 4, 2016. This page originally submitted on November 28, 2016, by Rev. Ronald Irick of West Liberty, Ohio. This page has been viewed 196 times since then and 11 times this year. Photos: 1, 2, 3, 4, 5. submitted on November 28, 2016, by Rev. Ronald Irick of West Liberty, Ohio. • Syd Whittle was the editor who published this page.